Media reports suddenly appeared that government had agreed to revive the Track II diplomacy process with Pakistan despite its apparent aversion to 'conventional' talks with that country. But the surprise was that resumption of the Track II had already occurred through a high-powered delegation of former Indian diplomats, military veterans and academics travelling to Pakistan on April 28, 2018 to discuss ways to improve the India-Pakistan relationship. The Indian delegation was headed by former Secretary MEA, Vivek Katju while members included former NCERT head JS Rajput. Talks were held on April 28-30,2018 with Pakistani side represented by former foreign secretary Inam ul Haque and Ishrat Hussain among others. As per news reports the initiative this time was taken by Pakistan that wanted this dialogue to happen in Islamabad "since the dialogues so far had been happening in third countries". But then it was in Lahore that the Indo-Pak Track II had met on September 23-25, 2012 (though under aegis Atlantic Council of Ottawa) that had recommended de-militarization of Siachen, which in real terms meant India withdraw from the Saltoro range despite great strategic advantage. The India-Pakistan Track II was first held in 1991-92 at Neemrana Fort in Rajasthan and took its name Neemrana Dialogue from there. That itself tells you that the dialogue was not always held in third countries. Track II dialogues are supposed to be non-governmental but obviously have intimate dealings with respective foreign ministries. Few select members of the Track II delegation that recommended Indian withdraw from Saltoro range were personally briefed by the then NSA. Obviously, the Vivek Katju-led delegation that travelled to Pakistan last month would also have been briefed by the MEA before departure, and de-briefed on return. News reports of May 4, 2018 say government described resumption of Neemrana Track II Dialogue with Pakistan as a part of the "normal process" of people-to-people exchanges between the two countries, but MEA remained silent on whether or not the government approved the dialogue, saying there is no change in India's position that terror and talks can't go together. But this dialogue could not have been revived without government approval. Pakistan timed the resumption of Neemrana Dialogue by abruptly sacking special prosecutor Chaudhry Azhar from the Mumbai terror attack case for 'not taking the government line'. An official of Pakistan's Federal Investigation Agency said, "The Interior Ministry has removed Federal Investigation Agency (FIA) Special Prosecutor Chaudhry Azhar, who had been representing as chief of prosecution in the Mumbai attack case since 2009, from the high-profile case." This is a major setback to Indian efforts to bring the LeT terrorists involved in the 2008 Mumbai terror attacks that killed 166 people and injured over 300. Notably, Azhar has only been separated from the Mumbai attack case, not from representing the state in other cases like Benazir assassination. The Indo-Pak dialogue every time has achieved little because the Pakistani army that calls the shots in Pakistan and in order to retain the stranglehold on the country, must remain hostile to India and Afghanistan, lest they be asked to return to barracks; there is no way the military would let go power and financial empire worth billions of dollars. The judiciary has become captive and coaxed to disqualify Nawaz Sharif from contesting elections in future, concurrent to radical mullahs like Hafiz Saeed promoted up the electoral platform. Therefore, the pot must be kept boiling in the Kashmir Valley – be it periodic terrorist incidents, stone-pelting of schoolchildren, tourists or security forces, killing civilians or cross-border firings. This time, resumption of Nemmrana Dialogue possibly was two-way initiative given approaching elections in both countries. 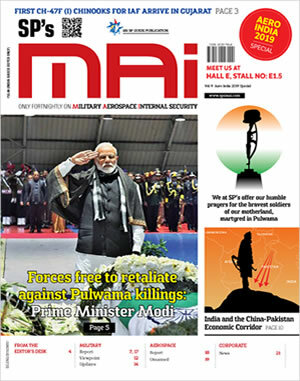 The payoff for the Pakistani side is claiming to their public that Indians were made to talk without any let up on terror – implying made them retreat on the no talks till terror abates bit. As for India, MEA maintains there is no change in India's position that terror and talks can't go together, and that these talks are not 'conventional', whatever that means. The dialogue pacifies strategic partner America who periodically keep exhorting India-Pakistan should talk, knowing full well continuing proxy war on India by China-backed Pakistan. 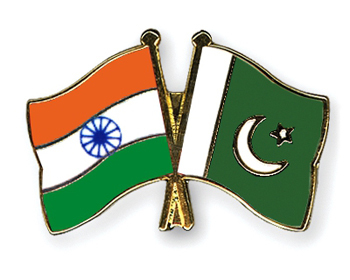 In February 2018, US State Department spokesperson Heather Nauert had stated that India and Pakistan need to sit and talk about their ongoing border tension, adding, "We think that both sides would certainly have to sit down and have talks about that." On October 21, 2011 US Secretary of State Hillary Clinton in a joint conference with Pakistani Foreign Minister Hina Rabbani Khar had said. "It's like that old story - you can't keep snakes in your backyard and expect them only to bite your neighbours. Eventually those snakes are going to turn on whoever has them in the backyard". But the last part does not matter to the Pakistani military. On balance any other expectations from resumption of the Neemrana Dialogue would be sheer utopia, given the reasons discussed above. It is for such reasons that former foreign secretary Kanwal Sibal, who is a member of the Neemrana group, chose not to visit Pakistan for the dialogue, saying, I didn't go because I don't think it would yield significant results in the current circumstances.'' However, as a seasoned diplomat he said Neemrana Dialogue was an important initiative.